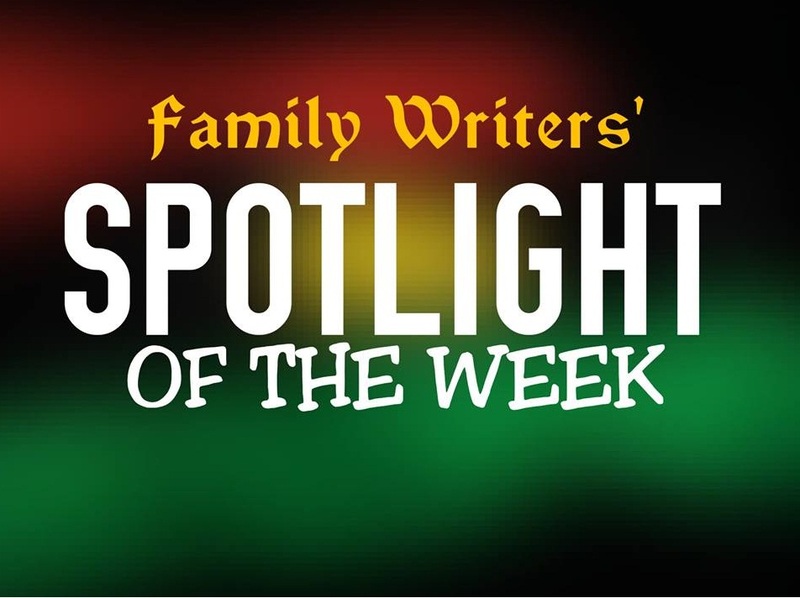 This week on Spotlight, we'll briefly bring to you the trending updates of the week and we'll lay much emphasis/brief discussion on some issues. ¬ "Release Nnamdi Kanu and others now” that was the first update on Spotlight desk during the week. Governor of Ekiti state, Fayose called on President Buhari to unconditionally release Nnamdi Kanu and others as earlier demanded by the court and the masses. Notwithstanding, this is not the first call for the release of Nnamdi Kanu neither is it the second but one question still stand: "Will the FG of Nigeria who refused to obey court orders, obey a call from anyone on this issue?" We'll, answers and other actions still pending and we're watching closely. ¬ Barely one week after the official arrival of Muhammadu Buhari to Nigeria; Militants issued fresh warning to federal government of Nigeria, asking them to stop oil production in their region(Niger Delta as popularly known) or face the consequences. But the major issue bothering the spotlight crew is, where were they all these while after giving several warnings and why did they at first stop attack on oil installations despite their proposed plan to bring Nigeria down to zero oil production. ¬ Despite being incarcerated for same alleged crime; IPOB detainees still holds IPOB family meeting in prisons. ....and you think the restoration of Biafra can be stopped? ¬ After Fulani herdsmen invade Abia communities and kill farmers; Tears flowed as not less than 30 bodies were recovered after Boko Haram attacked Benue state. And just after the attack, Boko Haram released the video of the execution of alleged Nigeria government's spies who infiltrated the group-. As all these daily deadly attacks and killings are going on, our point of focus is why the Nigeria military choose to go after peacefully people like Biafrans rather than going after these terrorists and bring them down as the law demands. ¬ "If anything happen to Buhari, fresh election should be conducted instead of allowing the VP to take over" -Islamic cleric in Nigeria says. Is this a justification to the speculations that Buhari is dead and the alleged Buhari, a clone? ¬ On the foreign scene; North Korea threatens merciless attacks against United States if it infringes on its sovereignty. And on the other hand; Donald Trump of US signed a new policy which affect Nigeria. The policy for cutting of country's aid recipients is set to seriously affect Nigeria especially health non-governmental organizations. ¬ Down there in the northern part of Nigeria; while Boko Haram terrorists are seriously Maiming and killing, Cholera killed 80 people in Zamfara state, 500 still receiving treatments. ¬ Villagers in Abia state of Biafra land flee ancestral homes as Nigeria police raid communities, torture and arrest villagers over the death of a Fulani herdsman. Now this is a major issue of concern which needs to be looked into. When the herdsmen kill, The communities are ignored and no torture or mass arrest of herdsmen but when the inhabitants of the communities retaliate, The Nigeria security agencies take full military action against the communities and that's absolutely evil and Injustice. "Buying weapons for self-defense is the only way out for Indigenous People Of Biafra" says Oduduwa Secessionist group. ¬ "El-Rufai training militias, he's after me" Apostle Suleman cries out. ¬ Due to the recent suspicious activities, takes and actions/inactions of the British Government on Biafra and other issues; "British government is bias in fight against human rights abuse", IPOB voiced out. ¬ "We won't relent until Sharia is fully established in Africa" Boko Haram's leader Abubakar Shekau said. Still on same issue, he listed out 6 countries which include- Benin, Cameroon, Chad, Niger, Mali and Nigeria as their hit target for Sharia establishment. This really calls for concern; though they're killing both their own and others, they've backup of the government of countries like Nigeria where they are determined to establish Sharia and Islamize the country. As a matter fact, Christians can't be Islamized that's why Indigenous People like Biafrans demand for exit from the country. ¬ "Obiano ranting because we rejected his millions of naira bribery so as not to be included in ICC list" -IPOB verbally explode again. ¬ There was Jubilation in Biafra land as Ikwere people of Biafra land declared full support for Biafra restoration and vowed to take Biafra restoration project to all parts of Ijaw communities. ¬ IPOB detainees, who were released, celebrate their release in a grand style and vow never to relent in the struggle to restore Biafra. ¬ "I've no case to answer" Justice Ademola tells court. ¬ After the IPOB genocide exhibition in Spain; Turkish citizen alongside others spoke about Biafra and declare full support for Biafra. ¬ During the week; the life of the Leader of Indigenous People Of Biafra, Mazi Nnamdi Kanu was in grave danger as serious fire outbreak hit the prison. Though after the fire incident nothing happened to him, Biafrans gave a serious warning saying: "If anything happen to Nnamdi Kanu or other Biafrans in detention, the world (not only Nigeria) should expect the unexpected". ¬ As the Biafra genocide exhibition ended in Spain during the week; IPOB announced that the exhibition will go round the world. Xenophobia: South Africa launched fresh attack. Still wondering why South Africans adopt this system of life towards fellow Africans despite that they're Africans too. ¬ "No force in hell or on earth can stop the restoration of the sovereign state of Biafra" -Fani Kayode spits fire again. ¬ Celebration in Biafra land following the release of Family Writers Press' correspondent, Moses Agbo who have been in incarceration since December 2016. ¬ "Release Nnamdi Kanu, others Biafrans and let Biafra exit", Little Children hold protest in Igweocha(Rivers state). Like seriously, the issue of Biafra has gone beyond what the Nigeria government and the world thought. First it was mistaken for politics and a quest by illiterates or jobless men and women but recent happenings are proving them wrong. ¬ Back again to the foreign scene; Nicola Sturgeon announces second Scottish referendum. Take a look at proper civilization over there. No one attacked her, no military or DSS arrested her for it. If it's in Nigeria; Operation python dance and operation kill him or her would have been declared and the military will go after her as if she committed any crime. - IPOB Families Still Expanding In Igweocha, Obigbo Market Zone Inaugurates Chiejina Street Unit. - BIAFRA: We Need Biafra, Not The Presidency Of A Dead and Expired Nigeria. - Open Letter To French Government: DON'T BE DECEIVED. - BIAFRA: Nothing Like Resources Control Without Biafra Freedom, Osibanjo Deceiving Himself. - Putin Says He Has Proof Princess Diana Was Killed By British Royal Family. - YAHWEH YAHSHUA SYNAGOGUE(Yisraelites Biafra religion) IN IGWEOCHA OFFICIALLY RAISED THE BIAFRA FLAG IN THE SYNAGOGUE. - Celebration Among Biafrans Following The Release Of Incarcerated Family Writers' Correspondent, Moses Agbo. - FULANI MENACE IN BIAFRALAND: A Reason For The Ebonyi Youths To Bring Back Their Resilience They Were Known For Years Ago. - BIAFRA: The Fall Of Nigeria, The Consequential Reason Why Indigenous People Must Be Allowed To Exit.